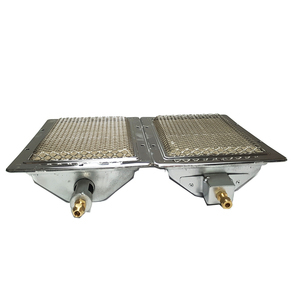 Restaurant Equipment Rotary chicken oven/Rotisserie/Gas chicken grill Product name gas chicken grill Power Gas:36KW; Electric:0.3KW Voltage 220-240V Capacity 30 chickens Dimensions 1200*500*1260mm Product Details Hotsale Products -01 If you need any help, please feel free to contact me. May Yang Phone/what's app: + 86 13826173277 Office address: NO. 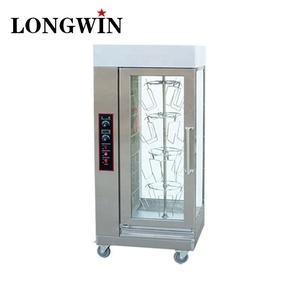 1, Longhu Road Tianhe Guangzhou,China Factory address: sanfang Industrial zone, xiansha, gaobu town, dongguan, guangdong. Why choose Cosbao kitchen equipment factory9 The first reason: We have good cooperation with we are gold supplier and has been onsite checked by alibaba service. 2. Our quality inspecting department will not let any defective goods escape to next process, in order to ensure every piece you receive is perfect. 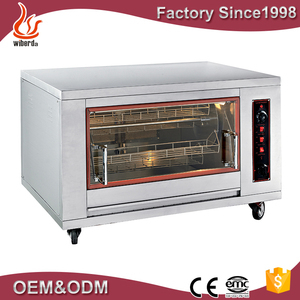 2. we have large range of kitchen equipment to offer professional hotel/restaurant/school/factory projects in high quality requirement. 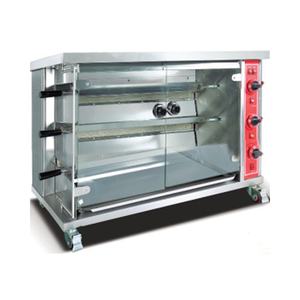 ELECTRIC ROTISSERIE CHICKEN EQUIPMENT/ APPLIANCE &bull; With heat resisting glass door,you can see the roast chicken clear &bull; F ou r wheels help you move the machine easier &bull; 12 pcs chickens per time &bull; Automatic temperature controller &bull; Made of stainless steel &bull; High quality and competive price PRODUCT DETAILS: Model: LS-266 Dimensions: 810x630x610mm Power: 4.5KW Volts: 220-240V/50Hz N/W: 65KG Packaged Size: 890x690x790mm SIMILAR PRODUCT YOUR CONCERN IS OUR MOTIVATION! Any questions from you are welcome and will be replied in 24 hours! Zhengzhou Xinshijia Machinery Equipment Co., Ltd.
7.Equipped with time-alarm, more convenient and safe for operator to control. 8. equipped with high density and hyperfine cotton material so can maintain the quantity of heat furthest . 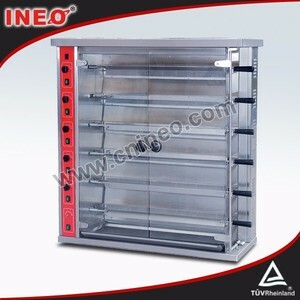 11.The panel is separated from the oven , can resist the harm of high temperature ,more durable. 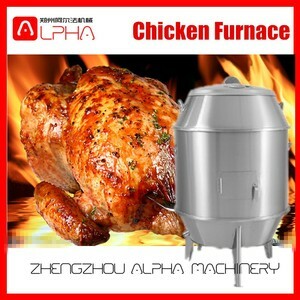 Alibaba.com offers 2,935 chicken rotisserie equipment products. About 30% of these are rotisseries. 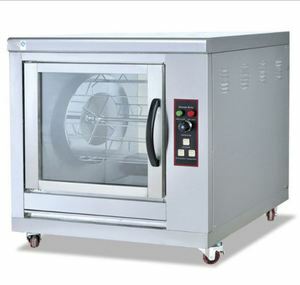 A wide variety of chicken rotisserie equipment options are available to you, such as paid samples. 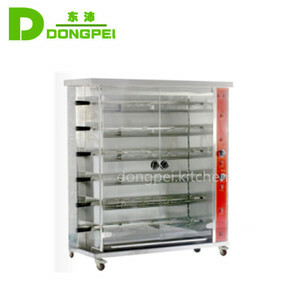 There are 2,949 chicken rotisserie equipment suppliers, mainly located in Asia. 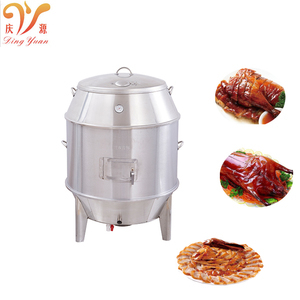 The top supplying countries are China (Mainland), Australia, and Turkey, which supply 98%, 1%, and 1% of chicken rotisserie equipment respectively. 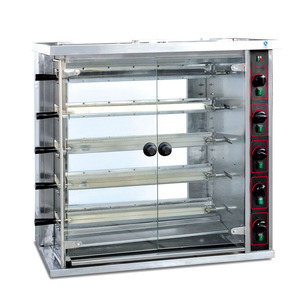 Chicken rotisserie equipment products are most popular in Southeast Asia, Mid East, and Domestic Market. You can ensure product safety by selecting from certified suppliers, including 522 with ISO9001, 64 with Other, and 62 with ISO14001 certification.